Have you tried our kolaches yet? Home / #placestobe / Have you tried our kolaches yet? 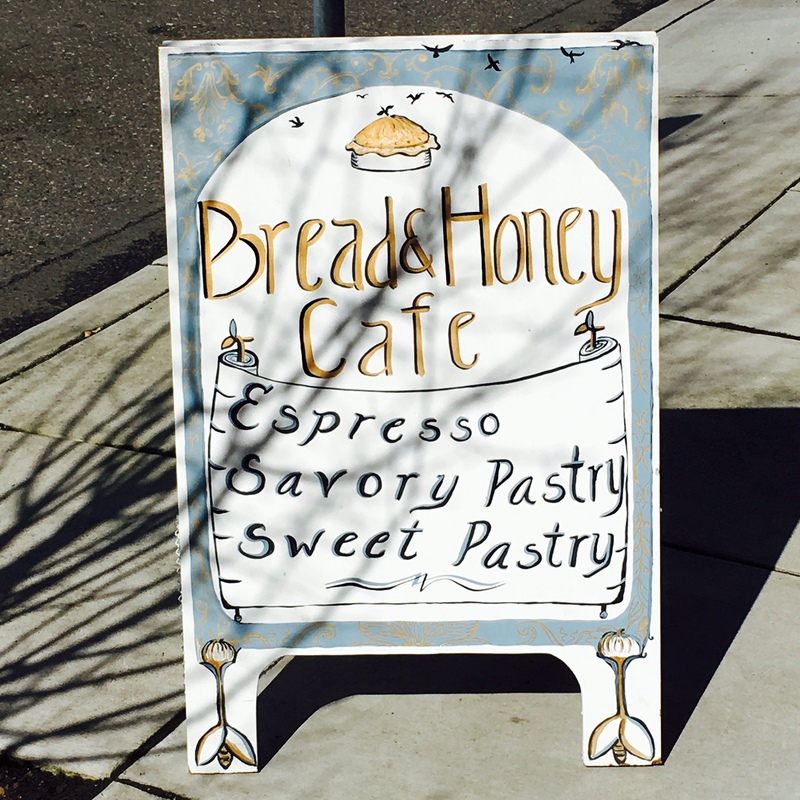 It was on a so-called “snow day” (for those you are not from Portland: Portland hardly ever gets snow during this winter 2016 / 2017 we had a lot and that’s why schools and offices had to close multiple times) that I first happened to stumble into the Bread&Honey Café. Although it was a beautiful sunny, snowy and crisp day in winter wonderland it was expected to freeze and snow again as soon as the sun would go down. Based on that fact many places decided to close early on this lovely Wednesday afternoon. I went for a long walk after working from home ( that’s pretty much what everybody did I think) and felt like a coffee and maybe a little cookie. You wouldn’t believe it but all places I considered where closed anyway or about to close around 3pm due to the weather conditions. Even Starbucks as well the grocery store chain New Seasons. It was kind of funny. That’s why I had already decided that to head home and treat myself with some cookies and a hot chocolate on my couch when I noticed the A-frame sign sitting on the site walk of North Williams pointing towards the left for Bread&Honey Café. It’s kind of a new building that got finished in 2016 and I although drive by it every day I have never really paid attention what is in it till that day. 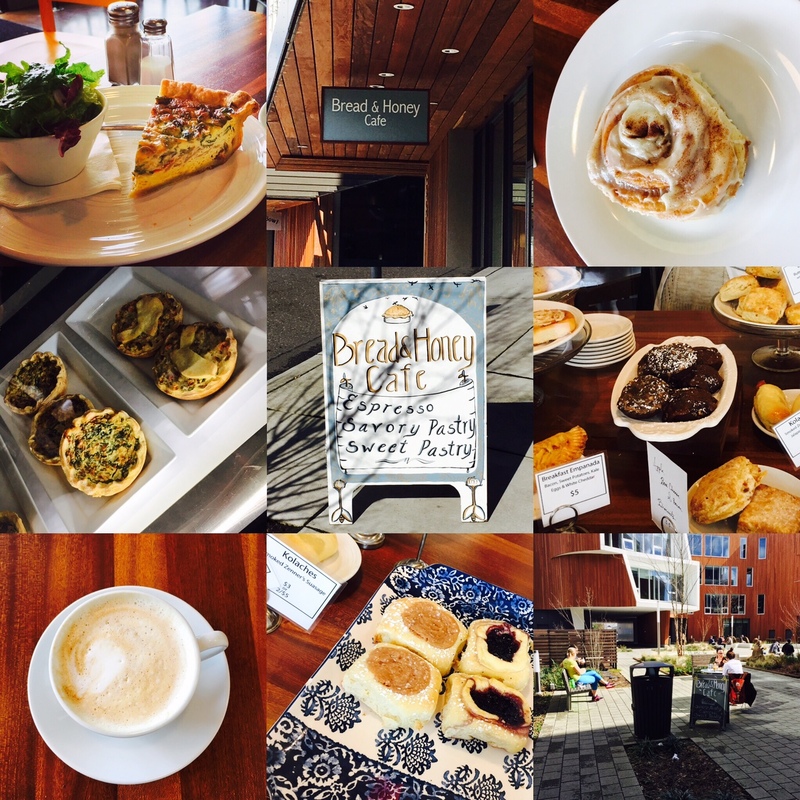 Long story short I ended up walking through a little lovely courtyard entering the Bread&Honey Café from the back entrance. The cafe was packed, they had great music going and everybody felt so happy ( guests and employees) since they had decided to stay open as they all the employees lived close by and they wouldn’t have a logistical issue. Perfect. I ended up ordering a cinnamon roll and a cappuccino. 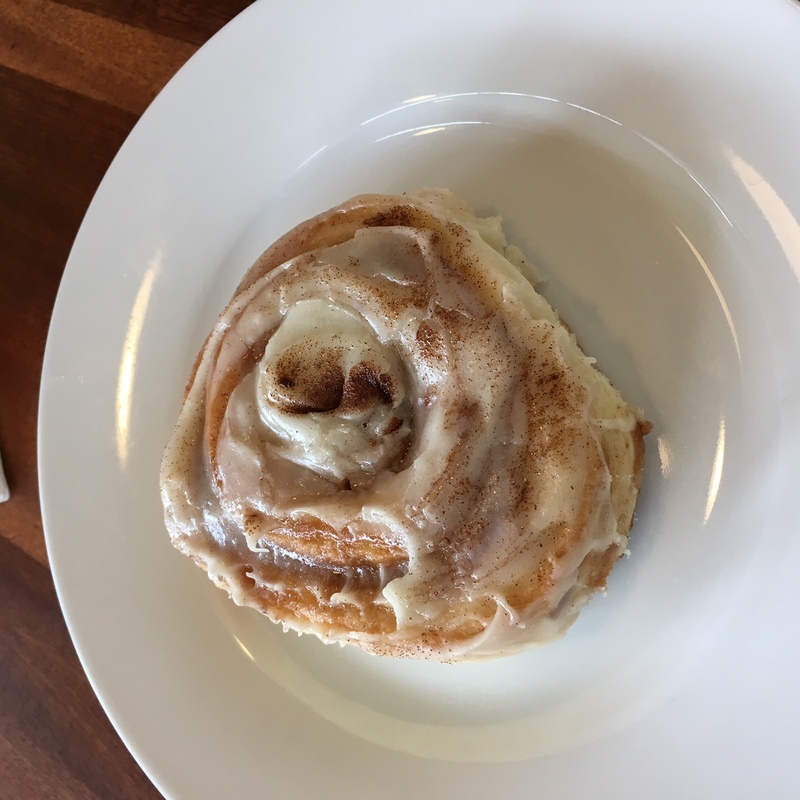 I will say that the cinnamon they make is on of the best I ever had and for sure the best I have had in Portland. It is not to big and not too small, they warm it up for you and it just perfect. When it turned out later that night that the next day would also be considered a snow day but I needed to meet some clients and colleagues we decided to do so at the bread&honey café as I knew that they for sure would be open and easy accessible for all of us living on the east side of town. 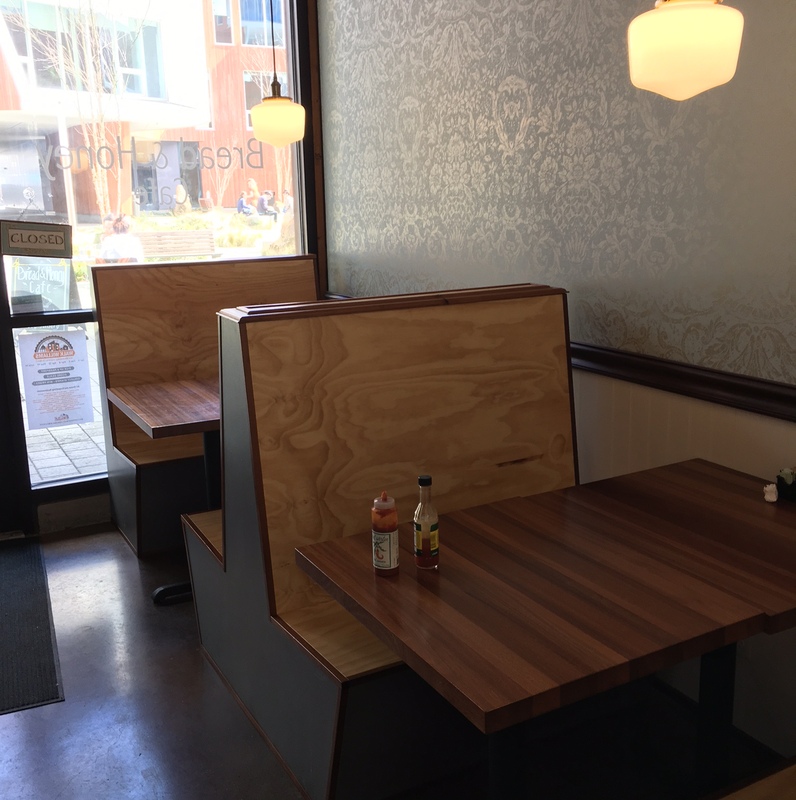 The set-up of the café is perfect for a bit more intimate or focused conversation as they have two great comfortable booth in the back of the café including spacious tables to put your laptops up as well as their wi-fi works great. Besides that they also have a great counter top bar and their window site as well as great café tables in the front. It feels cozy and spacious at the same time and it’s light and bright even on a grey Portland day. All of that comes with super great food. Check out their menu. No matter if breakfast, lunch or afternoon snacks – they got it. It’s so simple, the ingredients are so easy but this is what it makes it so good. Also this is exactly what owner and chef Dayni Walden is trying to accomplish for your guests and customers. Great, simple food for great people. So far as I can tell she and her team are doing an amazing job and they are by far exceeding their mission and goal every single day. Thumbs up, Dyani and team! Of course and as mentioned before: The cinnamon rolls !!!! Egg Scrambles on the weekend menu ( so yummy and just great combinations). 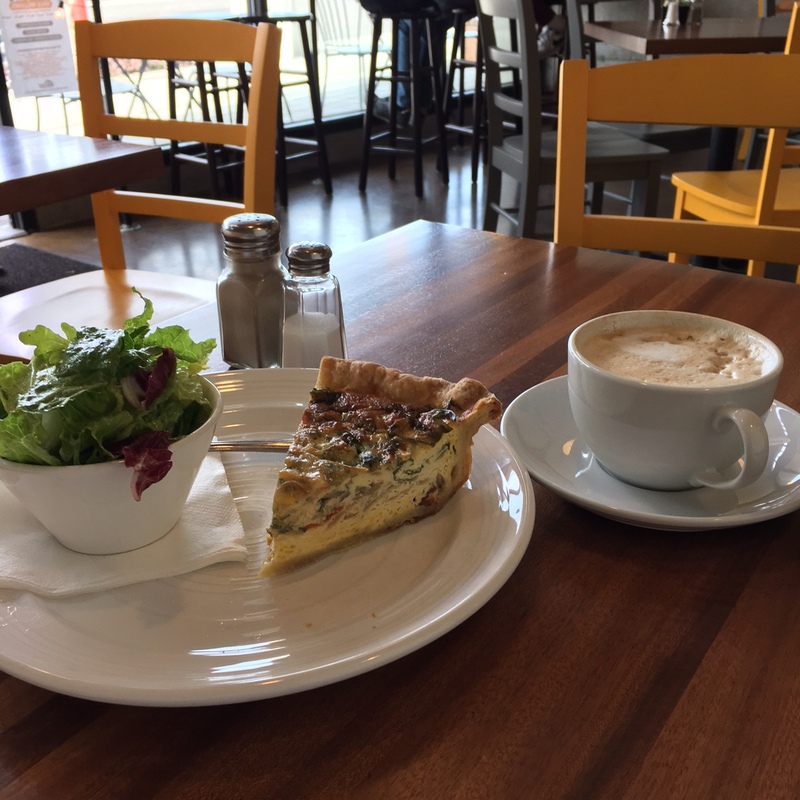 Quiche of the day + little side salad ( the perfect lunch combination). Besides that you can’t go wrong with the “Kolaches”, the savory pies and the daily changing soups. And not to forget the salads……! Just everything is simply delicious. So I’d say you should really just stop by next time you are in the area, parking is great (free parking either on N Williams or N Vancouver – you can enter the place from both sides), stop by bike and hang out in courtyard if the weather allows. 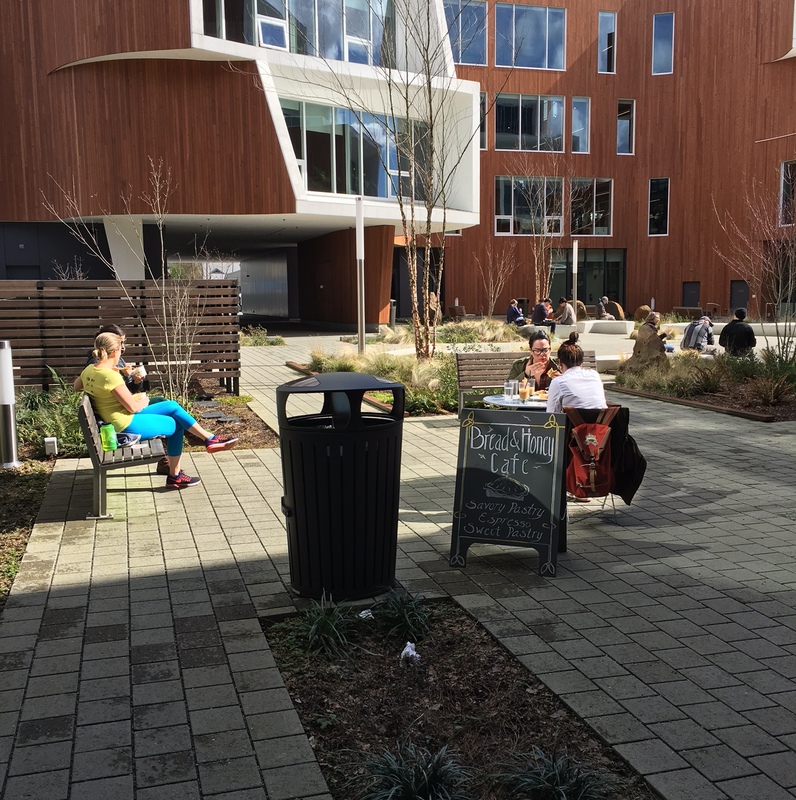 Due to the fact that the courtyard is pretty much covered from all sides even a little bit of sun makes it possible to sit outside without freezing. You will love it, I am sure.